Adding bias to the inside edge of a garment is one of my favourite finishes. It gives a professional look as there are no hems left exposed, it is softer against the skin than a seam plus the bias trim does not show from the front of your garment. It can also act as a casing for elastic. I mainly use this technique for around arm holes and necklines. 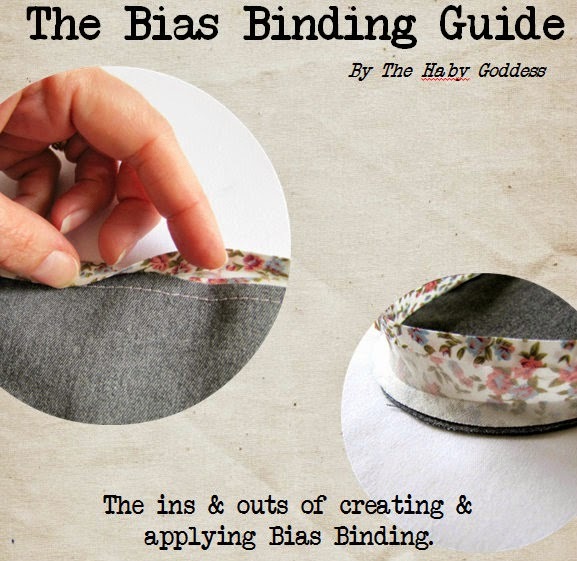 Start and sew on your bias as you normally would. 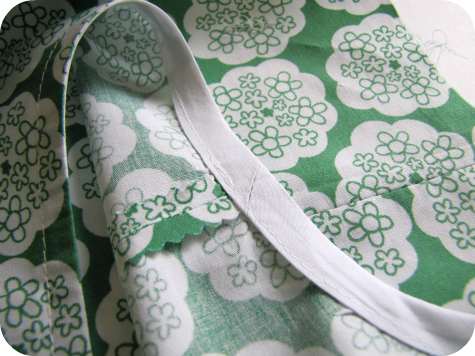 Opening out the bias, right sides together and sewing in the first crease. Leave a bias tail at the beginning for joining your bias at the end. When you come to the end, cut an additional tail of bias and fold the two ends and mark where they should meet. Leave a tiny gap between the two. 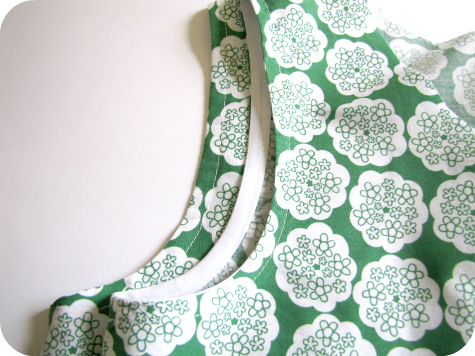 Open both pieces of bias up and match the dots and sew together as you normally would when joining bias. When turned over, if dots match then it should fit nicely . Finish off sewing. The difference is here. When you turn over your binding, instead of only going half way, take it all over to your wrong side of fabric and press it flat. 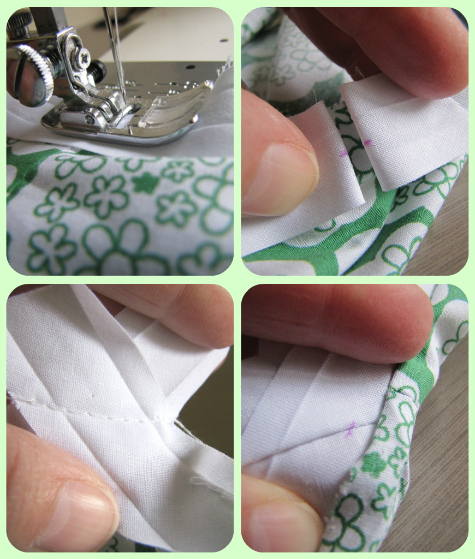 Sew your topstitch which should evenly catch the binding underneath. Hi Jodie, thank you for all your bias tips. Such a simple thing but often forgotten. 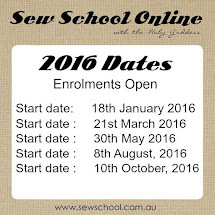 I am self taught, lately with lots of help from lovely folks on the web like yourself. I don't understand how to join the bias. Could you please show a bit more detail? Or do you have another post that does so. I've read your recent posts about bias and can't see how to do it especially in this type. I'm glad you are stocking the Flex Frames as I have been wondering where I could get some. I plan to order some this wk. Thank you. Just to say "thank you" for posting the Bias comments. In the process of making a dress and adding Bias to the armholes and hemline. Your posting was perfect timing. Can now complete my garment. Thank you!